Jo Ann Reasbeck was born in Martins Ferry, Ohio on August 26,1931 to Clarence and Clare Isabelle Reasbeck. 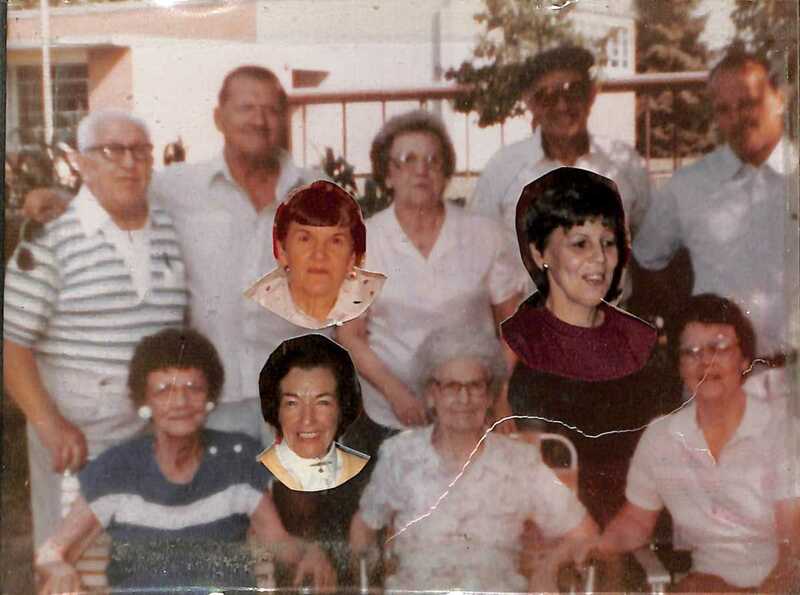 There were ten children in the Reasbeck family, six of them girls: Mary Virginia, Lucille, Angeline, Stella, Doris Jean and Jo Ann. Two of the boys died in infancy, James in 1926 and Ralph in 1928. Dave and Russell lived to adulthood. The Reasbecks were devout Catholics attending Mass every Sunday. The children were enrolled in the parish grade school at St. Mary’s in Martins Ferry, Ohio staffed by the Sisters of Charity of Nazareth. The family was musical with Dave playing the trombone and Jo Ann playing the saxophone. They sang in church choirs and performed in many recitals. Jo Ann’s father, Clarence Reasbeck, died in April, 1936. His wife and children mourned his death. The family gave assistance to their mother. Her culinary and sewing skills kept her family together. Their mother, “Mom”, had strong faith and a happy and positive spirit. Also, she had the encouragement needed for raising eight children. Her children called her “Super Mom”. The parish school at Martins Ferry did not provide a third or fourth year of high school. Jo Ann and her mother searched for an opportunity for Jo Ann to complete high school. The Sisters of Charity of Nazareth had, at Nazareth, a program for high school girls designated as a Juniorate. These girls attended classes with other high school girls at Nazareth. They also had an SCN director, who planned their program of study, prayer, and recreation. Juniorate girls had, in common, an interest in religious life. Their poetry, art and prayer life, gave expression to their Juniorate experiences. The SCNs at Martins Ferry assisted Jo Ann in preparing to attend the Juniorate at Nazareth. She graduated from Nazareth Academy in May 1949. Jo Ann on September 24, 1949, after a busy summer, entered the Sisters of Charity of Nazareth as a postulant. This was six months of initial study of religious life. Sister Helen Frances Sheeran was Director of Novices. She guided the novices during their first two years of religious life. Sister Helen Frances, with others, designed classes for the novices in church history, theology, music, and other topics. Jo Ann was also grateful for her place in the choir where her musical gifts were evident. 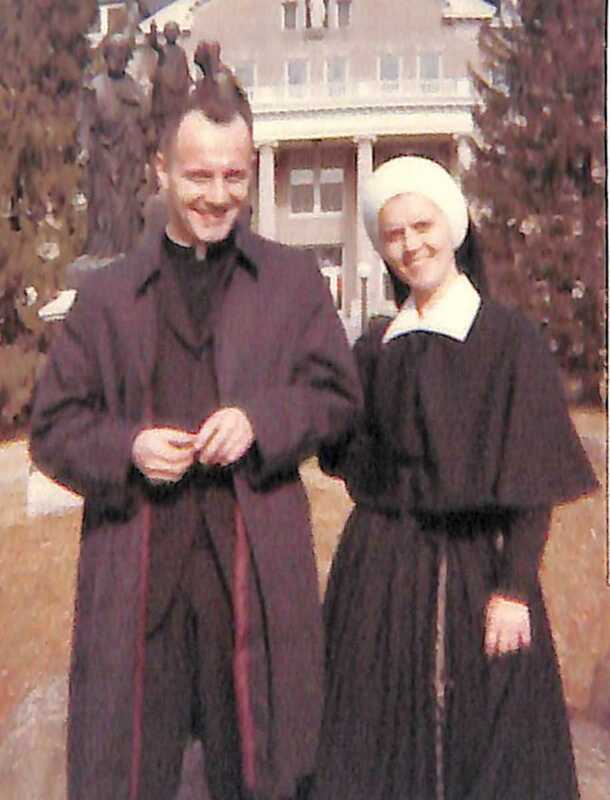 Jo Ann received the habit on March 25, 1950 and a new name, Sister David Clare. ‘David’ was in honor of Jo Ann’s brother, Dave. They both honored their family with their vocations. Dave became a priest of the Diocese of Steubenville, Ohio and was named a monsignor on March 3, 1987. As was Sister David Clare’s nature, she made many friends during her novitiate. It was a learning experience, especially in regard to spiritual opportunities. Her novitiate class had many unique young women. To this day the class, of now six, keep in touch. David Clare’s musical gifts and kindness to others made her time as a novice filled with learning and sharing. Sister David Clare made first vows on March 25, 1952. 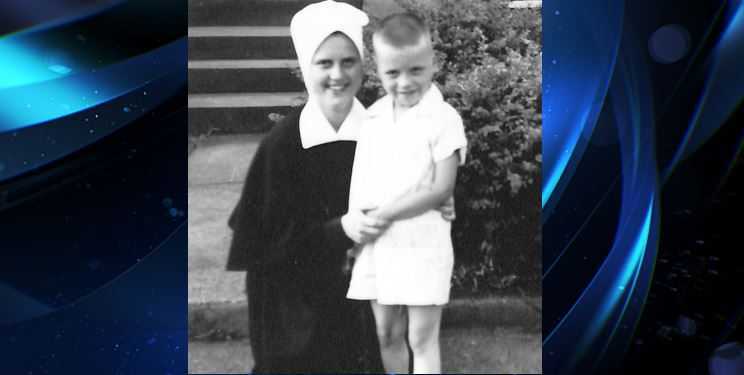 Sister David Clare’s first mission was Holy Angels School in Avenue, Maryland. She taught there from 1952-1954. From there, she was missioned at St. Joseph in Morganza, Maryland from 1954 to 1960. These years were the beginning of integration of the Catholic schools in Southern Maryland. 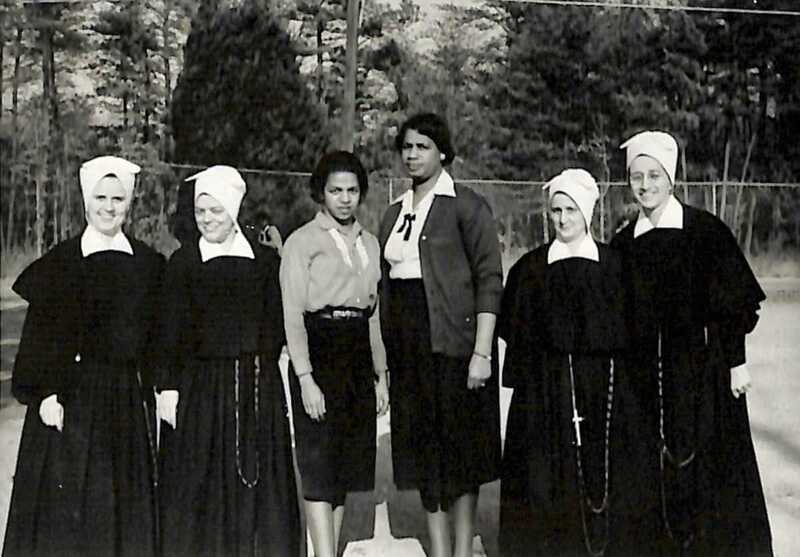 Sister David Clare and other SCNs, who taught in Southern Maryland, knew that the children and teachers would welcome all. Yet, it was a challenging time for those involved. Sister David Clare appreciated the six years at the African – American school in Morganza with Sister Charles as principal. For a year, 1960-1961, Sister David Clare taught first grade St. Philip Neri School in Louisville. She enjoyed her time there. Her next mission was at St. Lawrence School in Louisville, from 1961-1965. The school was very large and afforded the opportunity of one grade in a class. 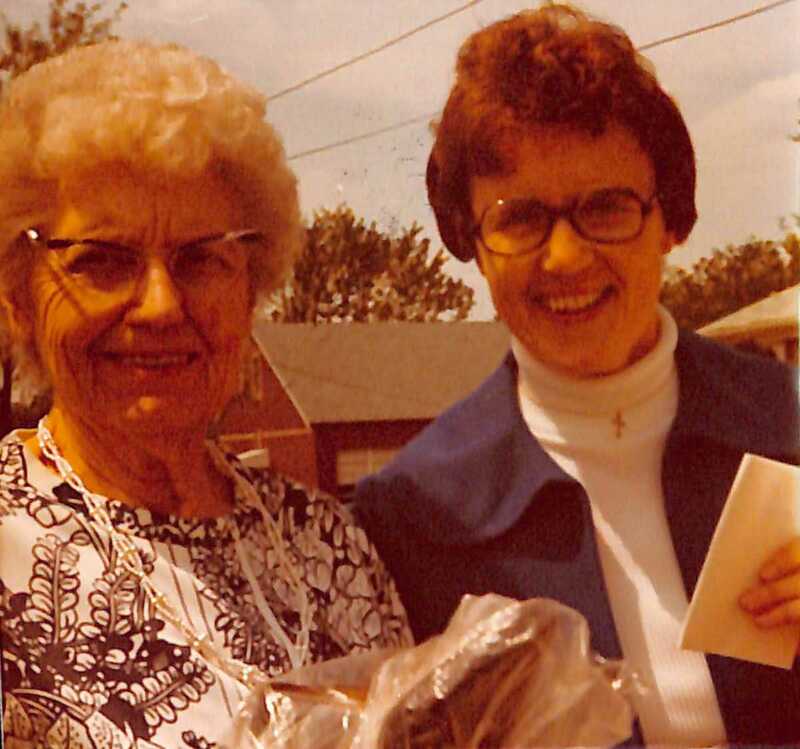 In August, 1965, Sister David Clare received word from Nazareth to be ready to go to Crossroads Public School and St. Theresa Parish, in Rhodelia, Kentucky as superior, principal and teacher of grades five and six. There, in Meade County, Kentucky, Sister David Clare ministered for nineteen years. Sister Anne Magruder, one of the sisters who was with Sister David Clare in Rhodelia, said that she learned so much about hospitality from Sister David Clare who was always ready to welcome others. The parish at Rhodelia had family choirs under the direction of Sister David Clare. Parents and their children sang at Sunday Masses from the choir loft. Two St. Theresa parish seminarians began their studies to the priesthood one year apart, Rev. Bob Ray in 1969, ordained and Rev. Ron Knott in 1970, ordained. The SCNs always welcomed the seminarians to meals at their convent home whenever they were in Rhodelia. Sister David Clare planned and directed the music for each at their first Mass after ordination. A former student at Rodelia recalled fond memories of Sister David Clare who, after school provided roller skating, or parties, or movies, for the children. The former student said she decided to be a teacher because of Sister David Clare’s example of attention to the needs of the children. Whenever possible, Father Dave, Sister David Clare and their mother would meet in Ohio for a visit to Father Dave’s church, Saint Frances Cabrini in Colerain, Ohio. The three of them enjoyed these gatherings until Clare Isabelle’s death in August, 1987. Leaving teaching and the administrative tasks of public schools, Sister David Clare’s next mission was at Nazareth Home, a Sister of Charity of Nazareth nursing facility in Louisville. The facility serves both lay and religious persons. Sister David Clare was a contact person from August 1988 to August 1992. As with all contacts with people, Sister David Clare gave of herself to all she met. Saints Mary and Elizabeth Hospital in Louisville was Sister David Clare’s next mission from 1994 to 2014. Chaplaincy and hospitality defined her job description. Included was a Cookie-Coffee Cart that Sister David Clare faithfully took to patients each morning for many years. She is also involved in making candy as a fundraiser for “Candy for Caring” at the Candy House. Still successful because of sixty-eight faithful volunteers. On October 6, 2011 Sister David Clare’s brother Dave, died. This was a great sorrow and loss to Sister David Clare and her family. Sister David Clare is close to all her nieces and nephews, great and great-great. She is faithful in remembering their birthdays which gives them much joy. To them, she is known as “Aunt Snooky”. 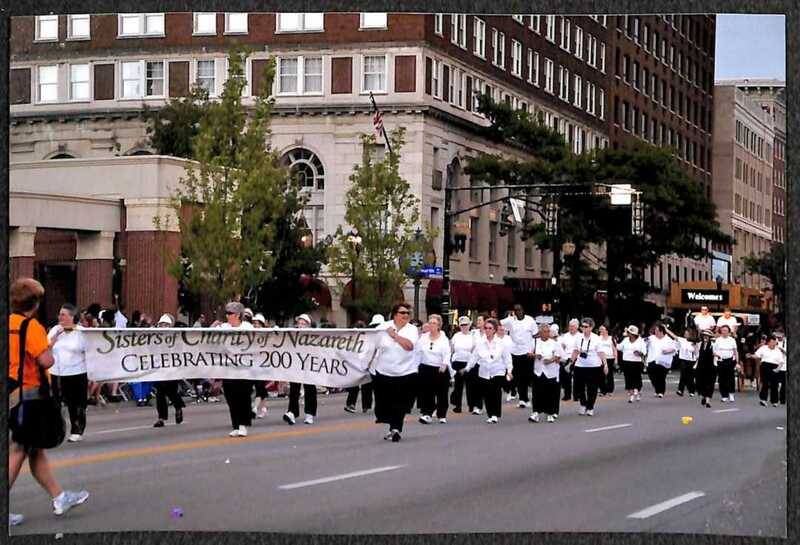 Sister David Clare and other SCNs were pleased to be part of the Pegasus Parade in Louisville in May, 2012. Forty SCNs and associates walked in the parade honoring 200 years of service to education, health care and the care of orphans, by SCN’s in the United States, India, Belize, and Nepal. Sister David Clare is presently a resident at Nazareth Home Apartments and continues to be involved in many charities. She is grateful for the privilege of living with Sister Betty Vannucci on the “ HILL”. Joined with Sister Betty, Sister David Clare and twenty-one SCNs who live on the “HILL”. The Sisters support many charitable works at Nazareth Home especially visiting patients. Sister David Clare thanks God for her SCN Community. She is grateful and honored to be a Sister of Charity of Nazareth following in the footsteps of Mother Catherine Spalding by continuing to serve those in need. Interested in reading more Marie Menard Committee interviews? Sister David Clare was my 1st grade teacher at St Lawrence. I was so delighted to speak with her a couple of years ago, and find her still as funny and spirited as she was when she made going to school an adventure. I later learned she was at Saints Mary and Elizabeth when my mother was in Comfort Care there in 2007. I’m sorry I didn’t know at the time, so we could have said hello. Loved her to bits. What a wonderful life. We love and admire Aunt Snooky so very much. Blessings abound in her presence. This is so exciting! Our Aunt Snooky is the best. We are so fortunate to call her our aunt and have her to look up to. All I have to do is talk to her and it lifts my spirit. Love her so very much. Wonderful story about our beloved Aunt Snooky! You have enriched so many lives including mine, Ashton’s and Evan’s. We love you very much. I have fond memories of living in Rhodelia with you. You taught me what hospitality really means. Everyone was welcomed at any time. You are such an inspiration to me. Your gifts of joy, compassion and service are contagious. I am very proud and privileged to call you my sister and friend. What a loving and interesting account of your faithful life! Thank you for your caring welcome that seems to never tire. You are an SCN Blessing !!! Beautiful story, Snooky. I’m proud to be your classmate. You are and have always been special. When “Snooky” and I arrived at the Juniorate in our third year of high school, I was taken up to the tiny bedroom in Nativity Hall with two beds. She was sitting on one and greeted me with “Oh I’ve been waiting for you all day!” No wonder I was taken by her welcoming personality or that we somehow managed to be next to each other in community order in the novitiate, or that we are close friends to this day. She’s still “Snooky. IN THE NOVITIATE AND YOU SET A FINE EXAMPLE FOR ME WITH YOUR SMILING FACE, YOUR DARK AND FULL ALTO VOICE, YOUR ABILITY TO WORK AND WORK AT ANY TASK ASSIGNED, AND PLAY AND PLAY WITH ENTHUSIASM!!! WHEN I WAS IN THE FIFTH AND SIXTH GRADES. THANK YOU, DAVID CLARE, FOR YOUR UPBEAT PERSONALITY AND YOUR GENTLE HEART WHICH HELPS US ALL. A splendid summary of David Clare’s life, spirit, and attitudes. Loved this story. The faces in all the pictures were filled with the joy of our Lord Jesus!! Dear, dear David Clare, your life has been such an example of joy and generous giving……..and always.a great interest in all things related to the SCN Community and its mission.